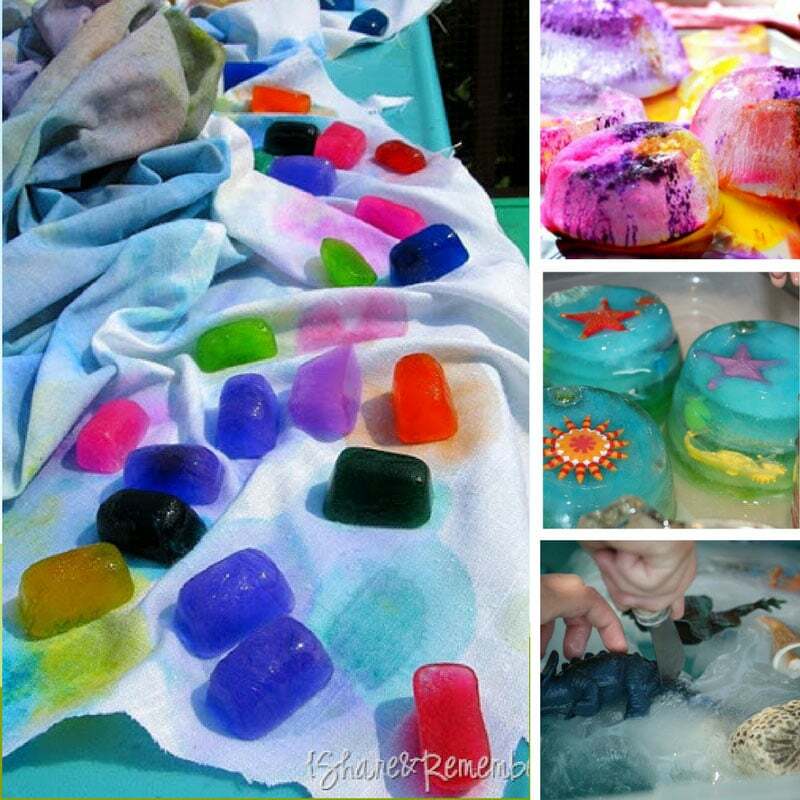 Home > Kid's Activities > 27 Incredible Ice Activities that Are Basically Magic! 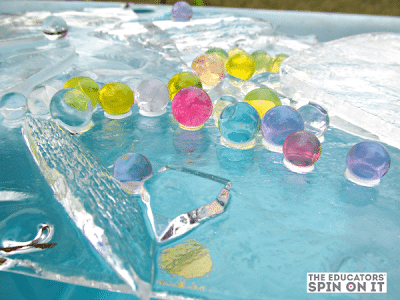 Ice activities are a brilliant way to combine sensory play with some science learning. 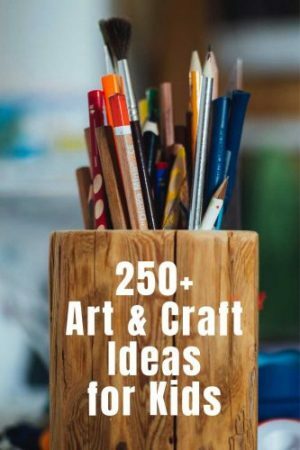 These activities are fun for kids of all ages and are just as perfect in the winter months as they are the summer! 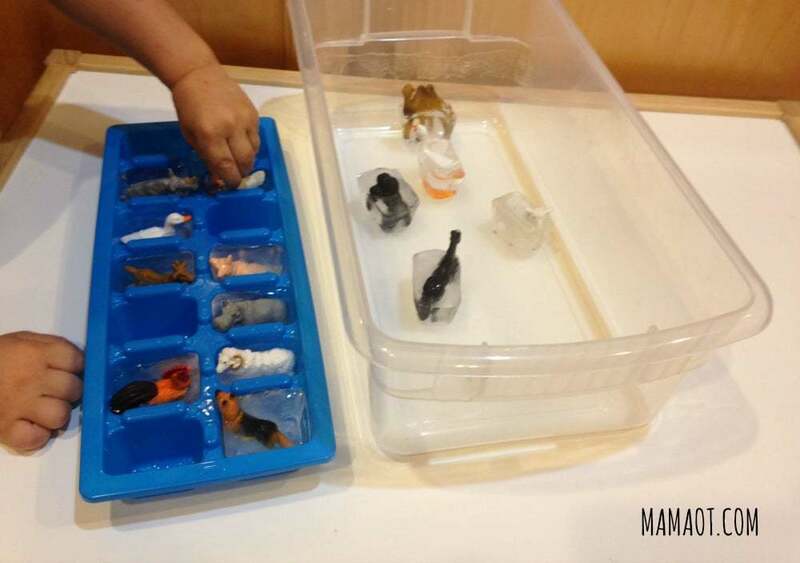 When it comes to combining science with sensory play you can’t beat ice activities! They’re just as fun in the winter months as they are in the heat of the summer. And today we have everything from melting ice activities to a genius idea for playing with ice that doesn’t melt! 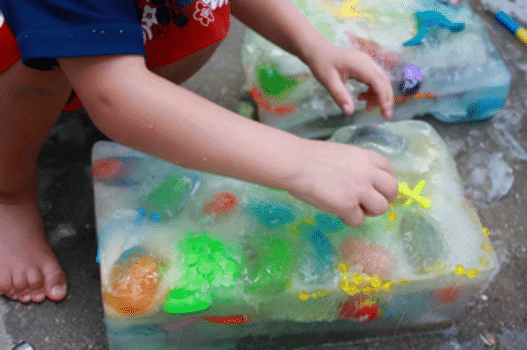 The easiest way to set up some ice play for your kids is to freeze random items in to ice blocks, and this list of 20 things is sure to get you off to a great start! 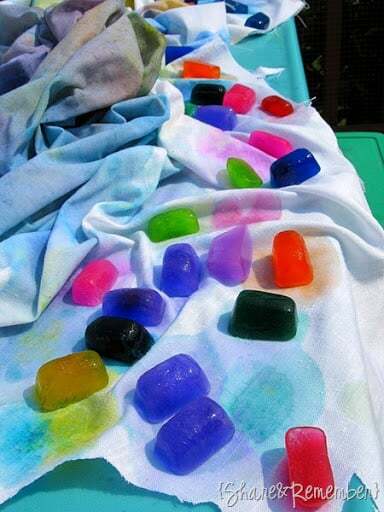 Add some food colouring to your ice blocks and the end result is totally soothing on the eyes! 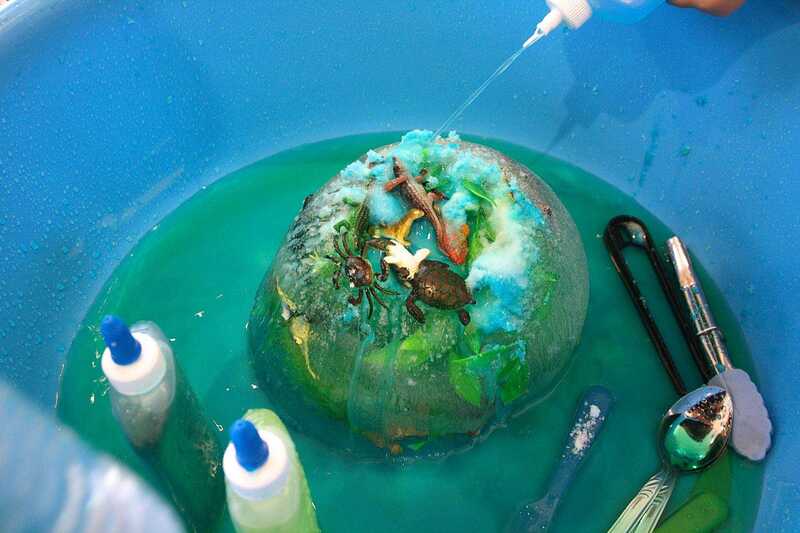 This sensory play activity is a great choice if you want to encourage your child to learn more about the ocean while they’re having fun playing and exploring how ice melts. 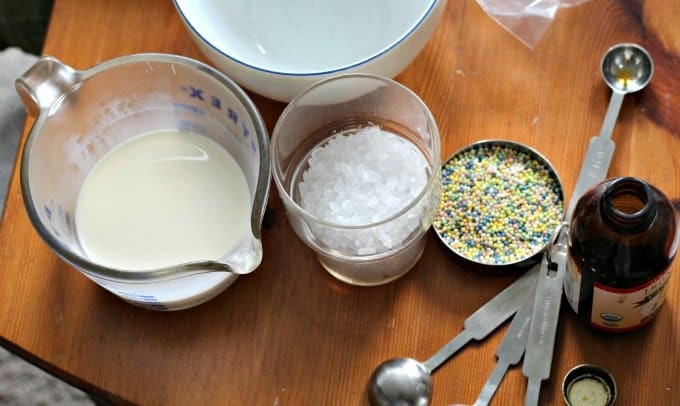 Here’s another winter science experiment for your child to see what happens to ice when met with different ingredients you can find in your kitchen. 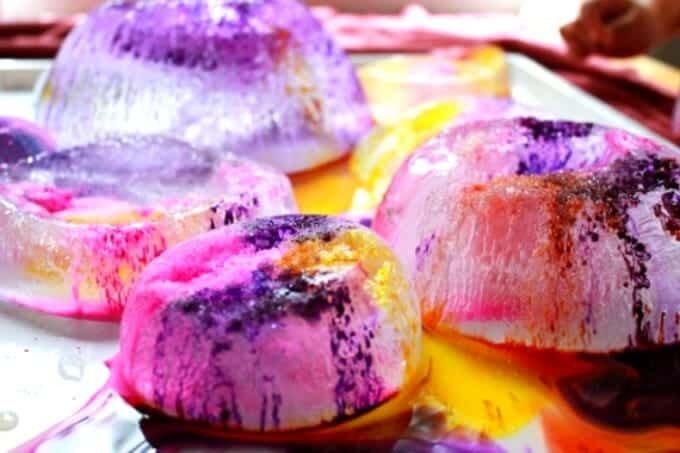 We made some of these frozen dinosaur eggs last summer and they were a big hit with my four year old twins. Mastering the ice droppers is really good for working their fine motor skills and exercising their hand muscles which is important for writing skills. 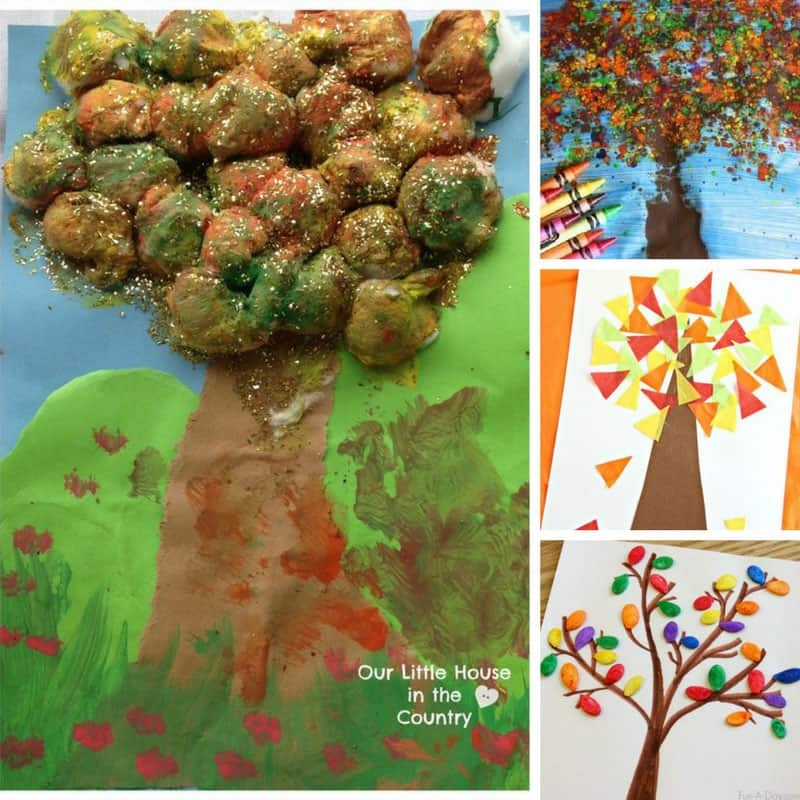 Here’s a fun activity where science meets art and is the perfect sensory play activity for kids of all ages. The melting ice and watercolour combo is really beautiful don’t you think. 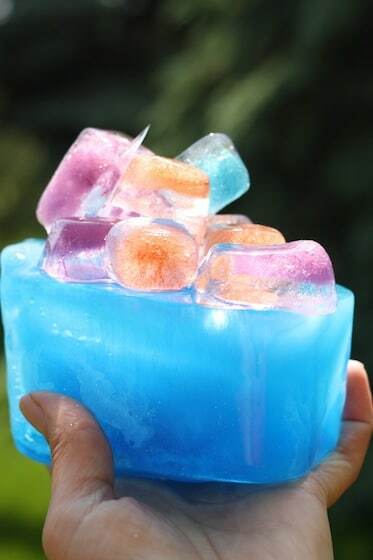 This is most definitely a summer ice activity, especially if you decide to make your ice blocks this big! With a little help from the sun and some spray bottles of water or even a hammer your child will spend a long time digging all of the treasures out of the ice! 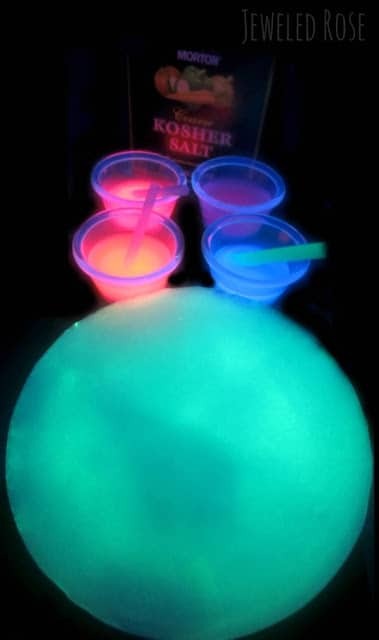 I had no idea you could make glowing ice! 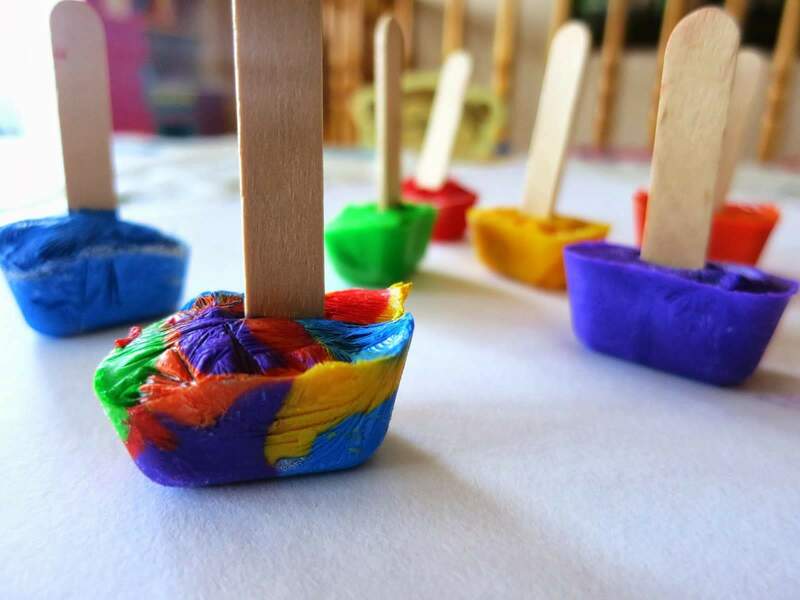 There’s almost something magical about this making it a great science activity for kids who love rainbows or even fairies! 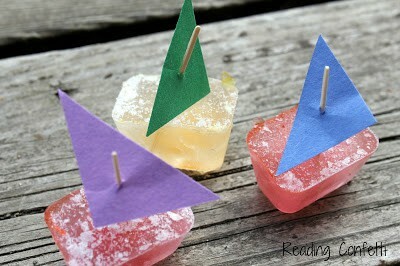 Here’s another large ice block activity that you can try in the summer. I love how Anna encourages her children to find their own treasures, from toys to flowers, to put inside the ice so they can see the difference between objects in water and objects in ice. Am I the only person who sees frozen fractals and launches into a verse of Let it Go in my head? 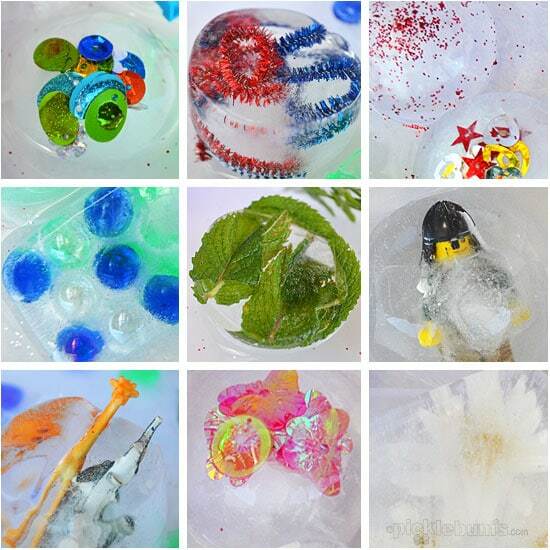 These ice sculptures are just beautiful and great fun for kids of all ages. 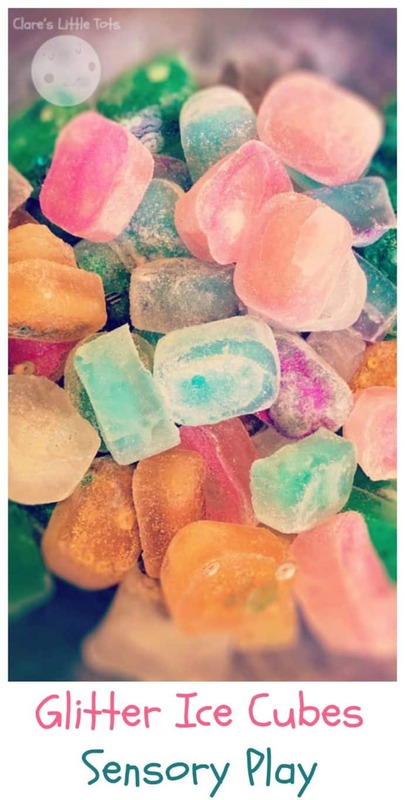 We love sun catchers but this is the first time I’ve ever seen anyone create one using crushed ice and food dye! The best thing you can do to get your child interested in learning anything is to make it motivating to them. 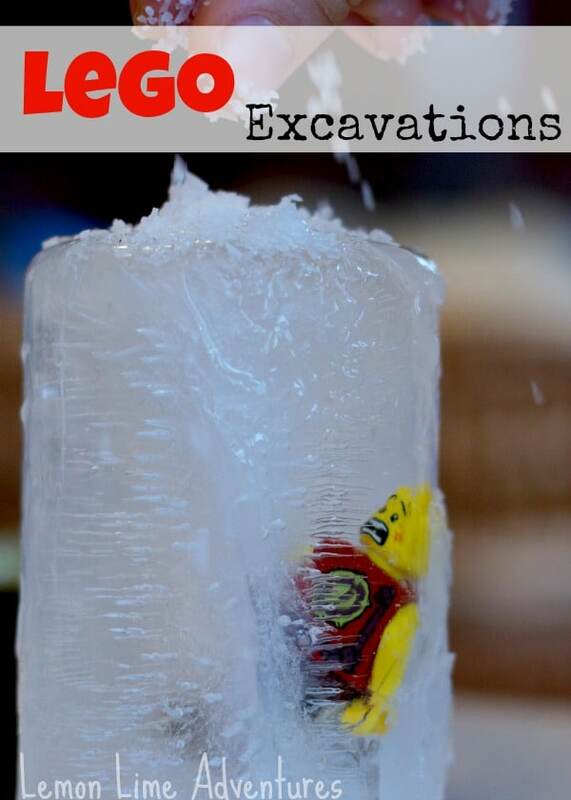 So if your child loves LEGO this is the ice science activity for them! 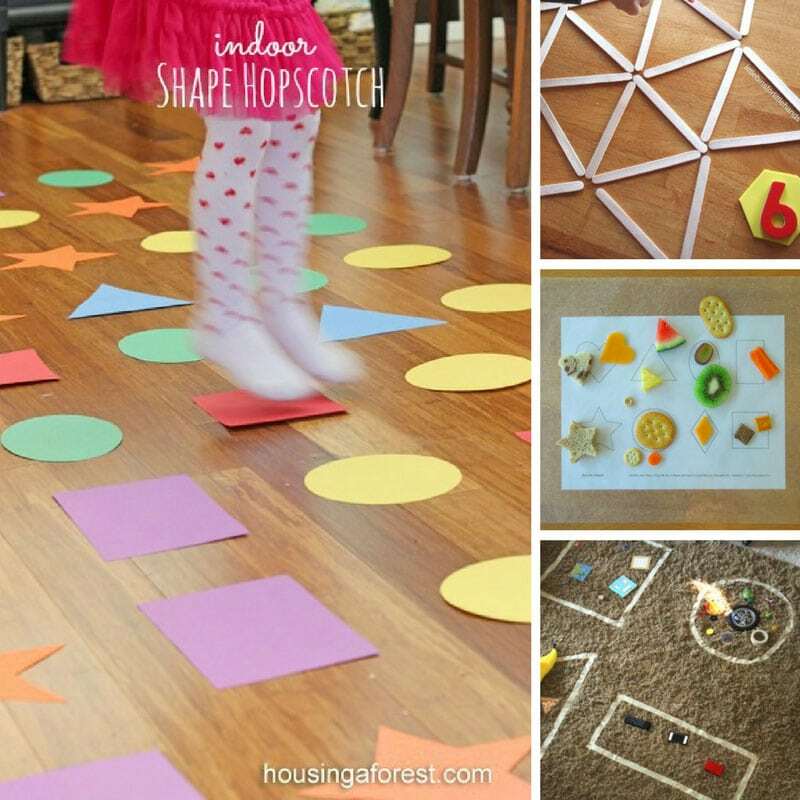 This is the perfect ice activity for a group of children to do together, and if you use a stretch of white cloth you’ll have a beautiful table runner at the end of the fun! Remember what I said about using motivating objects? 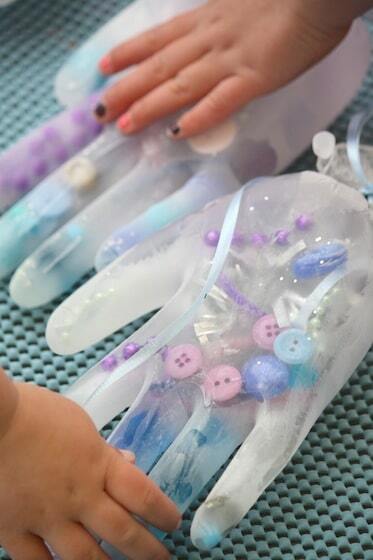 Doesn’t get more motivating than Elsa’s frozen hands for a child who adores Frozen right? 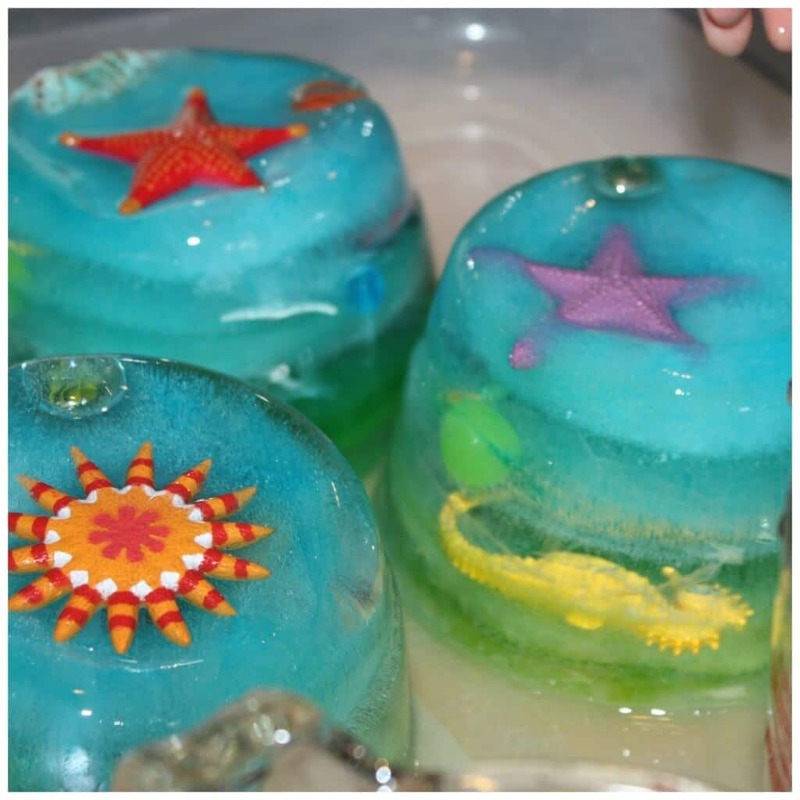 Frozen ice activities don’t have to all be about melting, what about exploring the floating properties of ice too? 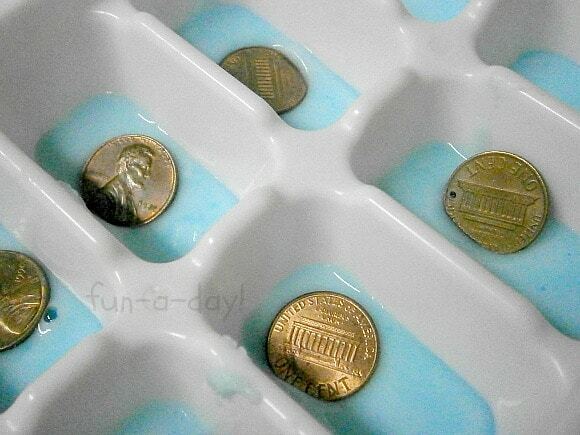 What do you get when you freeze some coins in a baking soda, jell-o powder mixture? Exploding pirate treasure chests! 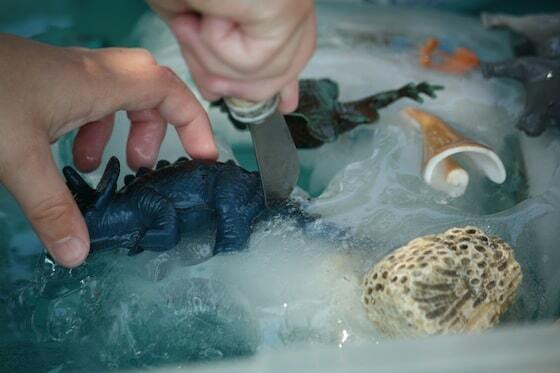 If you’re looking for an ice activity to captivate a dinosaur fan you really can’t beat this large scale frozen dino dig! 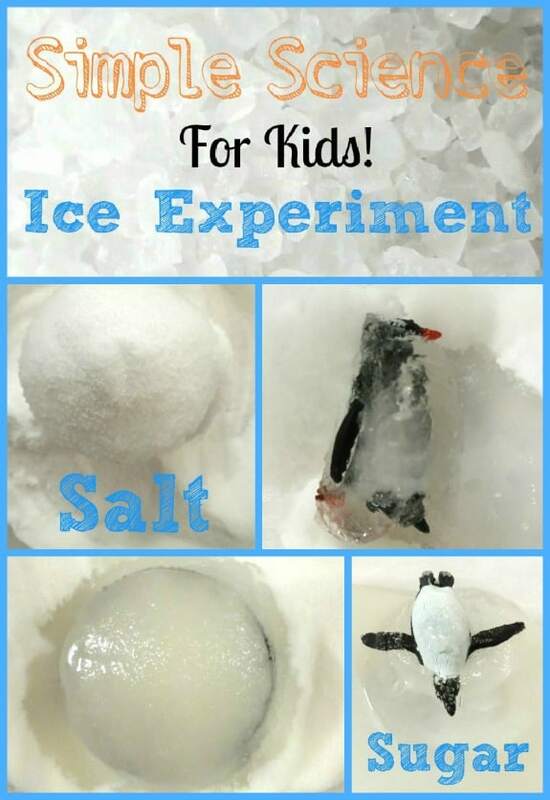 And here’s another way you can combine ice and science, by making something your child can eat! 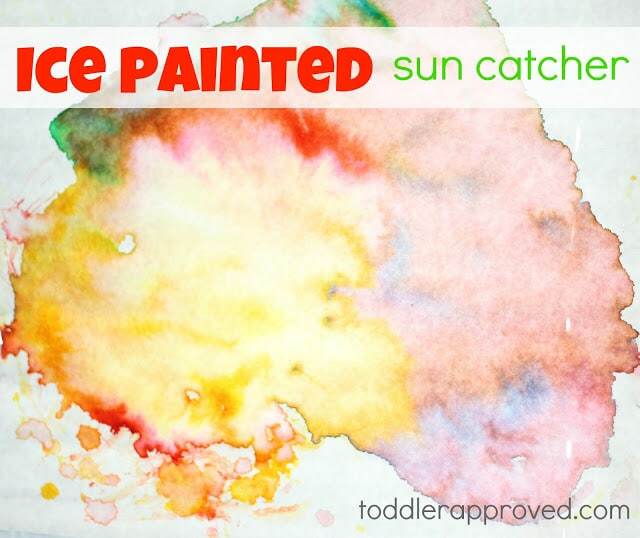 If your child doesn’t actually want to hold on to an ice cube to enjoy an ice painting activity then try this genius solution! 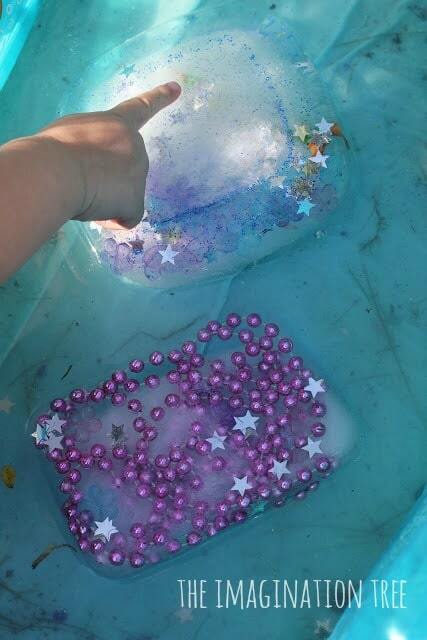 If you’re searching for an ice activity for a toddler then here’s a great idea for the summer months… ice sensory play in the paddling pool! 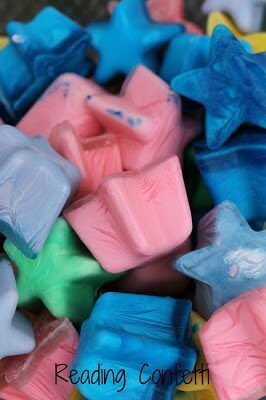 Oh this looks like a fun idea for kids who love playing with chalk outside in the summer months, make a frozen version! Here’s another large scale excavation activity which is great for encouraging team work. This is a fun idea! 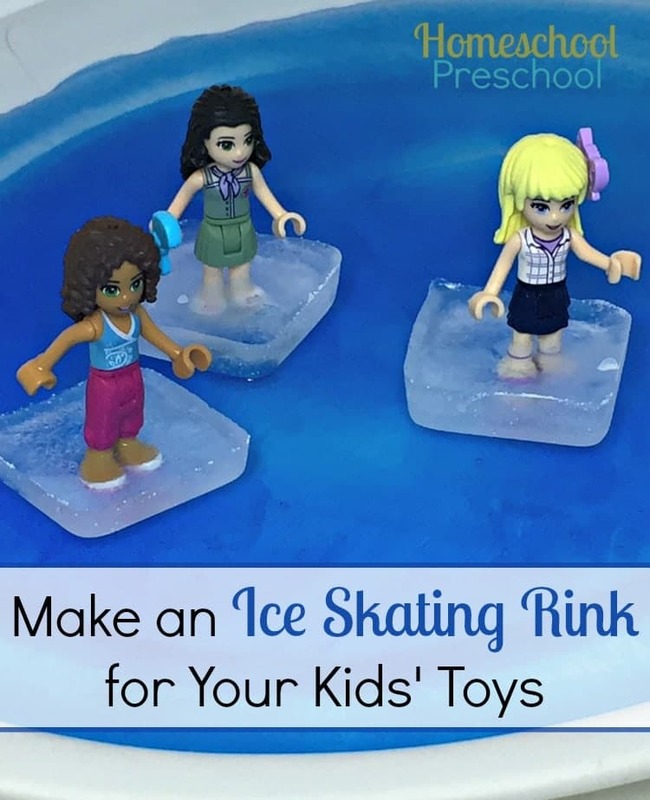 Especially if your kids were inspired by the Winter Olympics! 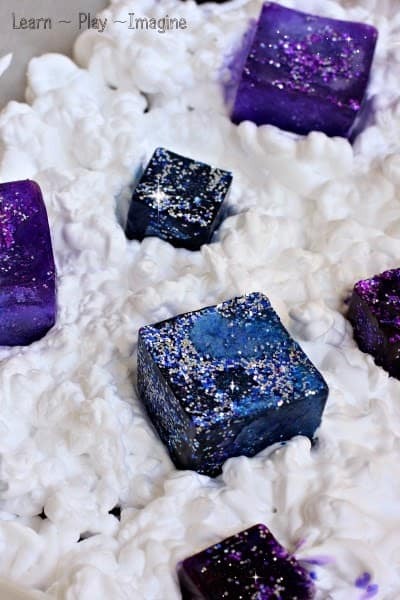 These sparkly ice cubes are sure to be a hit whatever the weather! 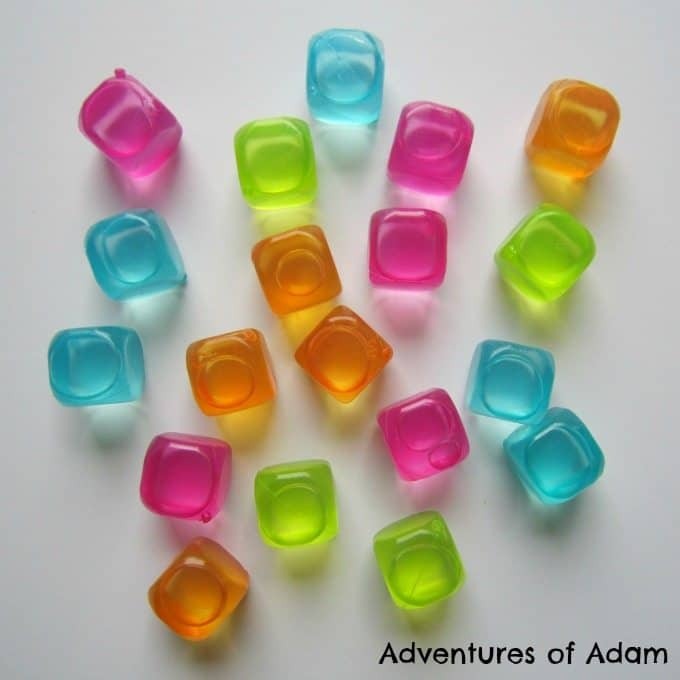 Ooh we’re always looking for new ways to play with water beads and this looks like a lot of fun! Wow would you just look at the colour of those ice cubes! And combining the ice with shaving foam is a genius move. 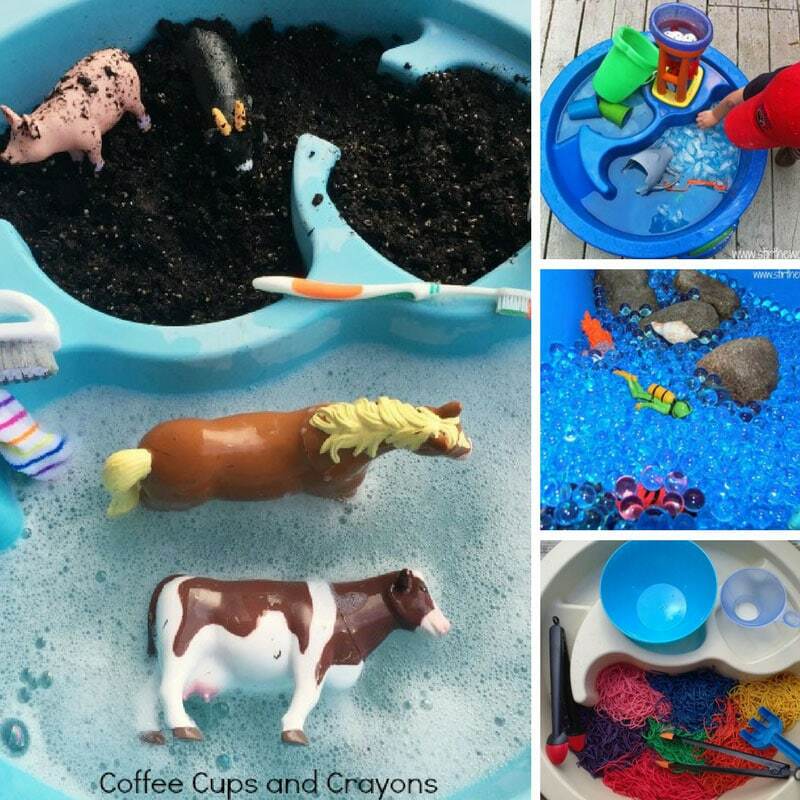 Messy play fun for everyone! 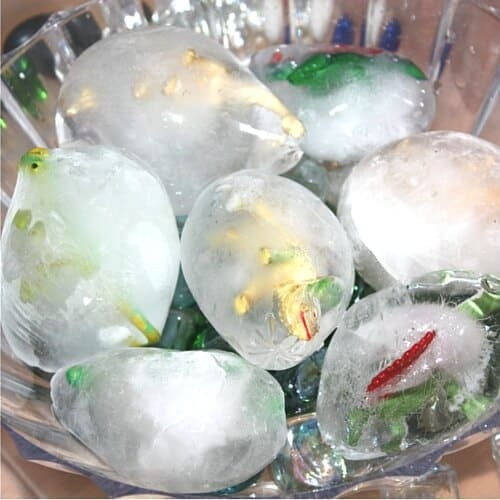 If you’re put off from ice activities because of the mess you need to check out this post which shows you how your child can have fun with the reusable ice cubes that don’t melt!